I know I'm a few years behind but lately I've become interested in Urban Exploration. Urbex for those of us in the know. Yes yes...old news but come on! This is cool! See? It's just like being an Archaeologist without having to learn Archaeology. And there's no digging involved. OK....it's not like being an Archaeologist but it does involve exploration, history, and the recording of personal and untold stories. Well I'm into it! Well 'into it' is a slight exaggeration because first of all it's pretty much illegal and prison doesn't allow for trips to Paris, and I'm probably not too good at climbing fences or going down into sewers and stuff, but I'm really into other people doing it. Naturally I turned to Google to educate myself on the subject and there are some fantastic sites. From what I could see, buildings of preference seem to be "Lunatic Asylums", warehouses and orphanages. "Lunatic Asylum" sounds creepy right off the bat. Sometimes "Insane Asylum" is used but that seems to be only for the sake of variety. Urban exploring wouldn't be as interesting without the colorful 19th century names for these institutions. After I had exhausted the various sites, I turned to YouTube for live action. All was going along fine and I was enjoying the videos when YouTube tossed me a curve. 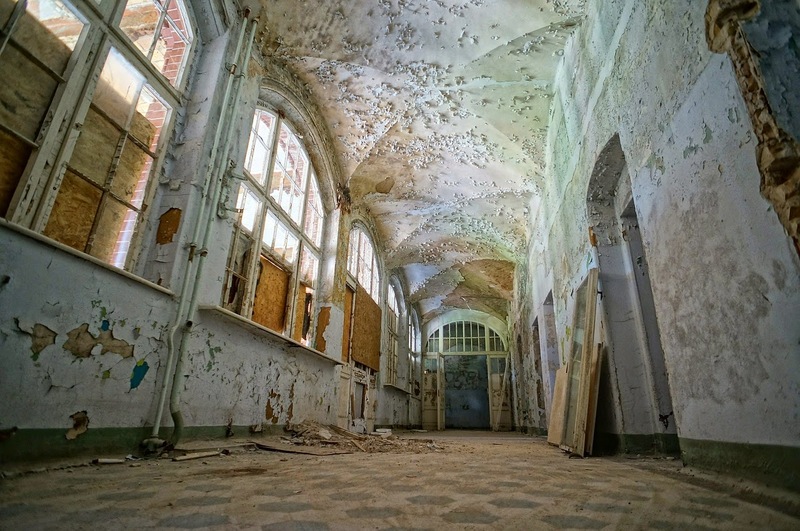 Instead of people exploring "Lunatic Asylums" and old warehouses, I was being treated to people searching for GHOSTS in "Lunatic Asylums" and old warehouses. 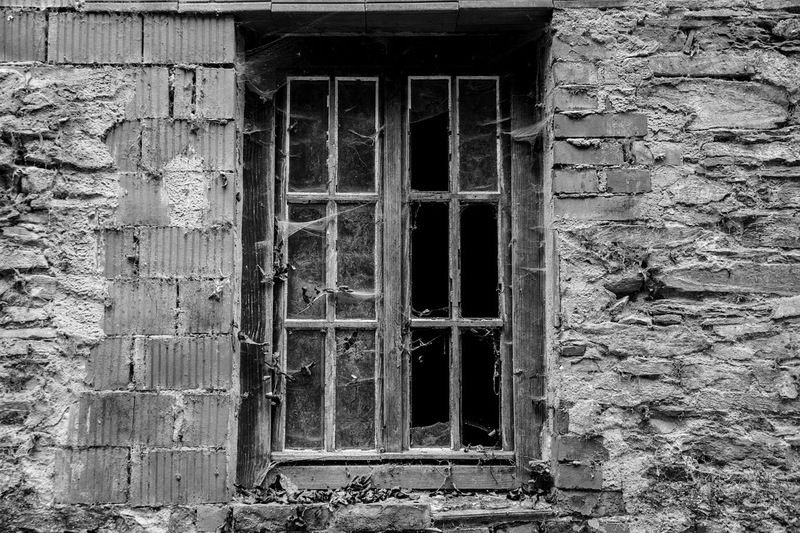 I'm not interested in ghosts, I'm interested in building rot. As far as the ghosts went, I didn't see any. You'd think if ghosts were going to hang around any urban building, it would be a "Lunatic Asylum". No, the Urban Explorers did much better than the Ghost Hunters. They discovered entire rooms left as if they were to be used again except for the dust and peeling paint that is. Equipment, personal belongings, interesting furnishings -all the things you'd hope to find. Some of the best sites I visited are below. If, like me, you're in an adventurous mood but don't want to get up, take a look. 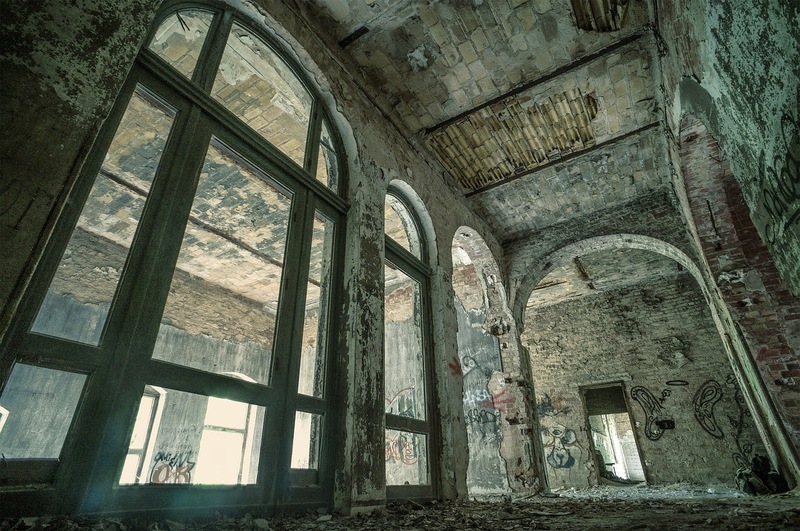 Urban Explorers Network "Take nothing but photographs, leave nothing but footprints". I love that! That must have been interesting! I must check if there's any info on the web about that. Thanks Sheila!